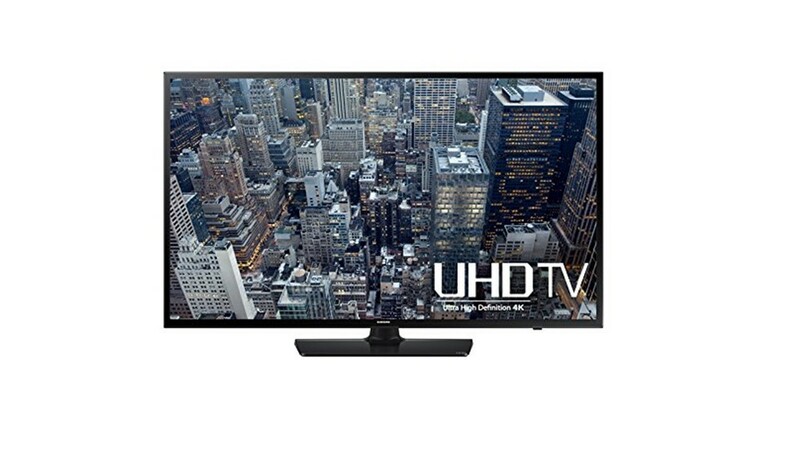 You are at:Home»DEALS»Samsung 55-inch 4K Ultra HD TV for $699! Need a new TV? Want to make the leap from HD to 4K at an affordable price? Time to check out the Samsung 55-inch 4K Ultra HD TV(Model: UN55JU6400). The market for HDTV, specifically 4K TV has finally reached a point of affordability for mass market consumption. At launch this Samsung 4K TV was priced at $1199.99, and now it is nearly half the price. The main highlight of this TV is the definition, 2160p resolution for stunning HD images. Taking HD now and making it 4x the resolution of Full HD is truly phenomenal. Basically, you’ll have a high end store display TV right in the comfort of your living room. In addition to the high end display, this TV is packed with all the bells and whistles. Everything from 4 HDMI cable ports (perfect for your Xbox One, Apple TV, PS4, Nintendo Wii U and so forth), 3 USB ports (if you have files in your HD, want to show off some pictures and more), and it is a Smart TV. Personally, I wasn’t in the market for a TV, but after seeing this at my local Best Buy this weekend and now its on sale, I think its finally time to take the plunge. What do you think? Is $699 a good price for this TV? We definitely think so! Tweet us @AsianGeekSquad!